These days, labeling a person as learning disabled simply isn't enough. There are too many defined learning disabilities to group everyone into one lump. Today, there are approximately three million children who have one or more types of learning disabilities. Essentially, a learning disability is the inability to understand something, whether it is written or spoken, and usually has to do with thinking, speaking, reading, writing, spelling, or math. However, again, there are numerous different types of learning disabilities, and the label "learning disabled" isn't a fair label, since most people who have a learning disability don't have any trouble learning all things -- just certain things. A learning disability can include ADHD (Attention Deficit/Hyperactivity Disorder), Auditory Processing Disorders, Dyscalculia (Math), Dysgraphia (Writing), Dyslexia (Reading), Dyspraxia (Motor Skills), Executive Function (Mental Processes), Information Processing Disorders, and Visual Processing Disorders. 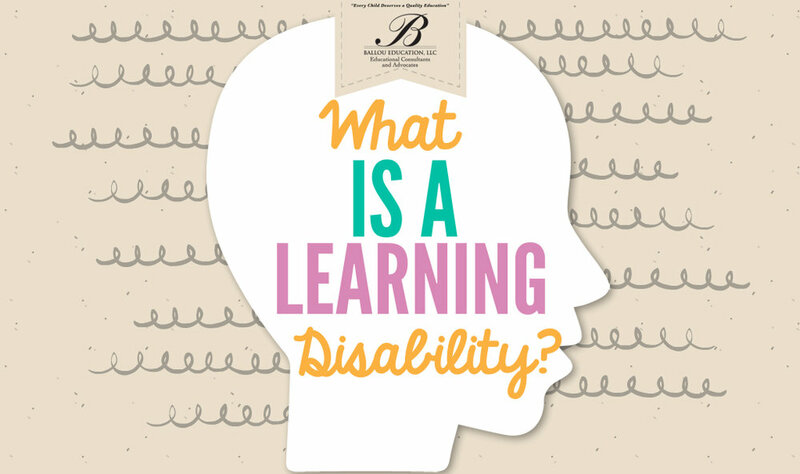 It is important that anyone with a learning disability have that disability defined to determine the best course of support, services and programming specific to the learning disability. In the United States, a learning disability is defined as difficulty learning something that the individual should be able to learn, under normal circumstances, based on their level of intelligence. For example, if a person does well in reading and writing, they would normally be expected to also do well in math. But if they suffer from Dyscalculia, they can read and write just fine, but when it comes to math, they will have a problem. They may even be gifted when it comes to reading and writing, but still have difficulty when it comes to learning simple mathematical concepts. A learning disability may occur when a person's brain works differently than other people's. Some say that it isn't wired in a normal fashion. Regardless of this, it is important to realize that a person who has a learning disability is usually just as smart as or smarter than their peers.